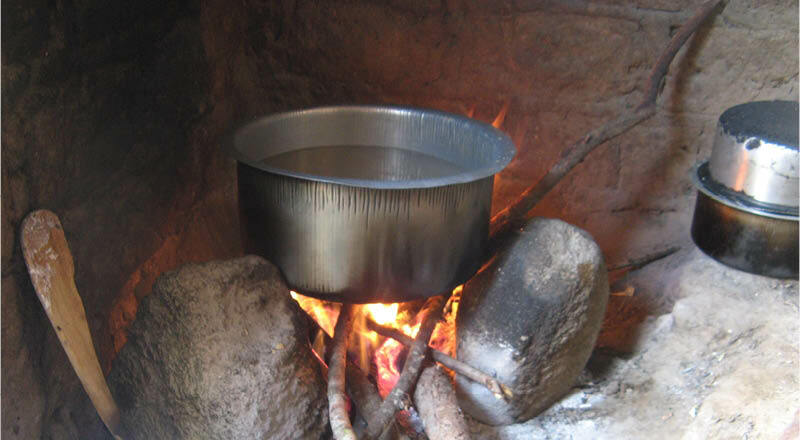 The three-stone open fire: still the main method of cooking in many homes. © Jane Whaley. Last month, for the first time for many decades, the number of people in the world without access to electricity fell below one billion. At first glance, something to celebrate: but think of that number again. Almost one billion people, or 13% of the world’s population, still do not have electricity in their homes. The link between access to power and movement out of poverty is well documented, so this depressing figure shows there is plenty yet to work on. What is more, the rate of progress has been variable across the globe, with the biggest successes being in Asia, particularly India, where this year they announced that every village in the country was now connected to the grid – a significant achievement. The story is very different in Africa. There have been successes – Kenya’s access rate, for example, has increased from just 8% in 2000 to 73% today – but overall the picture is disappointing. According to the International Energy Agency, 600 million people in Sub-Saharan Africa – 57% of the population – still remain without access to electricity. In addition, nearly 2.7 billion people lack access to clean cooking facilities worldwide, relying instead on biomass, coal or kerosene as their primary cooking fuel, which has serious health and environmental impacts. This disproportionately affects women and children and it is thought that about 2.8 million people die each year due to lack of access to clean cooking facilities; once again, the majority live in Sub-Saharan Africa. And therein lies a conundrum: the region is richly endowed in oil and gas, and is a major exporter of these commodities to the rest of the world; how can a higher percentage of Sub-Saharan Africa’s resources be channelled into improving local access to energy and clean cooking facilities, while still exporting sufficient quantities to feed the region’s economy? Inextricably tied into this is a second conundrum: reconciling the need for energy with the requirement for environmental protection in a region that is severely under pressure from a burgeoning and largely impoverished population, but one which clearly recognises the need for a sustainable solution. The answer must lie in tying the two conundrums together through investing in research to improve efficiency in producing, storing and using energy from all sources: both fossil fuels and renewables. Only through working collaboratively across the energy sector and throughout the world will we even begin to solve this dilemma. GEBCO plans a comprehensive mapping of the entire ocean floor. A recent UN agreement aimed at countering anthropogenic climate change is predicted to have a major impact on the oil and gas industry. What, if anything, is being done to protect industry interests?